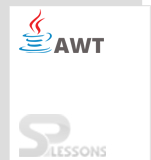 Basically, Java AWT is platform-independent. 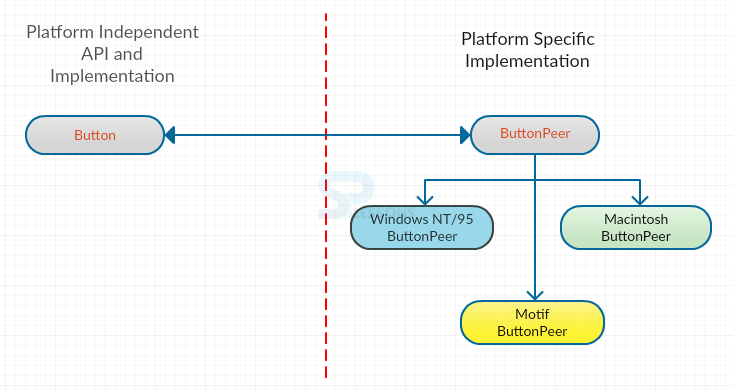 When using Java on other platforms, it should contain all the features required to support other platforms. So, to overcome this issue, JavaToolkit class is used to integrate the platform-independent classes and java.awt package such that its modules can be placed in the java.awt.peer package which consists of interfaces. The platform supporting Java should have a concrete class extending Toolkit class. AWT Toolkit chapter gives a clear idea about Toolkit and Peers. Toolkit() : Basically toolkit is an abstract class and it does not have useful constructors. 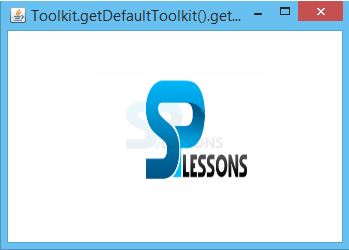 So, to have a toolkit object, one has to request for the default toolkit by using static method getDefaultToolkit(). All these methods returns the modifications required. getScreenResolution() It returns the screen resolution in terms of dots. getColorModel() It returns the colormodel of the system. getFontList() It returns the font list being used on the Java platform. getFontPeer It returns the requested peer interface to create the font. getProperty Returns the property as per the given key instruction. Implementing component in an environment is known as a peer. The connection between the peer and the component is called as peer interface. All these interfaces are stored in java.awt.peer package. ComponentPeer is the interface that is superior to all the non-menu objects and MenuComponentPeer is superior to all the menu objects. Toolkit is an abstract class. Peer is the interface between the Toolkit and the working Java environment.